A divorce or separation of parents usually means that extended family members may not get a chance to spend time with the children. 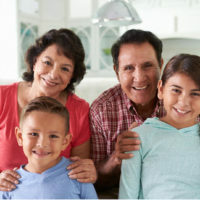 The parents may not always agree on how much access grandparents may have to children after the parents are no longer together, and the situation may lead to grandparents wanting to pursue grandparent visitation rights to the children. A court generally looks to the best interest of the child when deciding whether to not to grant a grandparent’s petition for visitation. Grandparents in Florida only have visitation rights to their grandchildren under very limited situations. Specifically, under Florida law, a grandparent can petition a court for visitation rights if a parent is dead, missing, medically in a persistent vegetative state, or convicted of an offense showing behavior that poses a substantial threat of harm to the child. Even if these conditions are met and the grandparent can file a petition for visitation, the court still has to hold a hearing to determine if there is parental unfitness. If the conditions are met for the grandparent to file the petition, then chances are that the court may find parental unfitness has been proven, but it is not automatic. In some cases, the court may appoint a guardian ad litem to advocate for the best interest of the child. Mediation may also be ordered to resolve the issues. If a parent is contesting visitation, the court will consider the grandparents’ past relationship with the grandchildren, and how bonded the child is with the grandparents. For example, if the parents allowed the grandchild to live with the grandparents for an extended period of time. During this time, the grandparents may have acted as pseudo parents and provided for the child, the court could consider this a factor towards granting visitation rights. If the grandparents formed a positive relationship with the child during this time, a court may be reluctant to sever a relationship that has been positive and beneficial to the child. If the grandparents are seeking grandparent visitation with a child whose parent has died, the court can consider the deceased’s parent’s wishes, as expressed in a testamentary document before the parent’s death. Therefore, if a parent expressed a wish that the grandparents should not be allowed visitation for certain reasons, the court will take this into consideration. However, if the court also makes a finding that the parent-child relationship will be negatively affected if the grandparents are granted visitation, then the court will not likely grant the grandparents visitation rights. This may happen where the parent can prove that the grandparents will attempt to alienate the grandchild from the parent. The grandparent may disparage the parent in front of the child. The parent-child relationship, especially if there is no finding that a parent is unfit, takes precedence over a grandparent’s right to visitation. If you are thinking about filing for divorce, and want to learn more about child support and custody issues, contact our experienced child custody lawyers at the Law Offices of Schwartz | White in Boca Raton, Florida.